We are calling upon our community to assist us in the creation of this transformative event. 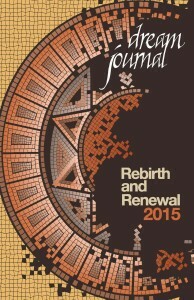 The third annual Rebirth & Renewal is an all day event to boldly ground our dreams for 2015. This gathering of entrepreneurs, mission driven organizations, healing practitioners and community change makers will invoke new possibilities for the Oakland community through deep connection, group reflection, music, and networking. We expect over 100 people to have personal and collective breakthroughs that will set up 2015 as the year to bring their dreams to life. These personal and collective breakthroughs will help the attendees reach their highest potential. They will remember this event because of its impact for years to come. During the event attendees will work through their 2015 Rebirth & Renewal Dream Journal that will record the discoveries and support structures necessary to manifest their dreams. They will be encouraged throughout the year to refer to and reflect upon this dream journal through follow up emails. We invite you and your team to both attend the event, as well as to be a premium sponsor. We have a variety of ways in which you can help us create a powerful event. Given the short time frame, our sponsors need to be decided by January 4th, 2015. Let us know what level of participation would be most beneficial for you at this time by filling out the form below. One of our Rebirth & Renewal team members will get back to you promptly to discover the best way to honour you as a sponsor. Are you able to provide a financial or in-kind sponsorship?